An interesting take on the housing market from Sadiq Khan. There seem to be at least three issues here. One is the issue of "off plan" sales abroad which are often used as the trigger for release of development funds. Without those sales the development may not come forward or it may be delayed. Pre-sales reduce the risk and are often a pre-condition to release of bank funding so they are not necessarily a bad thing, even from Khan's perspective. A second point is the issue of properties being left empty. Just because a contract is exchanged abroad does not mean that the property will remain empty on completion (so called "buy to leave"). Most contracts are either sold on to owner occupiers or become buy to let investments. Thirdly there is the comment about very high-value properties and the desire to avoid London being a money laundering capital. Stating the obvious possibly? These issues are far too complex to be addressed properly in the TV interview from which these comments were taken, so perhaps we can forgive the sound bite nature of the report but just looking at the first point, I am a third generation immigrant. I have a Danish great-grandfather. Worse than that I moved to London from the north when I graduated. I have now lived in London for nearly 28 years which is longer that I have lived everywhere else combined. So am I a Londoner? And if so, when did that happen? I didn't wake up one morning and think "by 'eck, I mus' drop 'northern accent terday" and I still refer to Lancashire as "home". Can I perhaps be both? A Lancastrian and a Londoner? The point of the question is to emphasise the arbitrary nature of deciding who is and who is not a "Londoner", especially when the comment was actually about marketing, not selling. I mean, the Queen is hardly ever here and she already has several homes around the country. Is the Queen a Londoner? Property sale restrictions will be brought in to stop London becoming the world's capital of money laundering, Sadiq Khan has said. 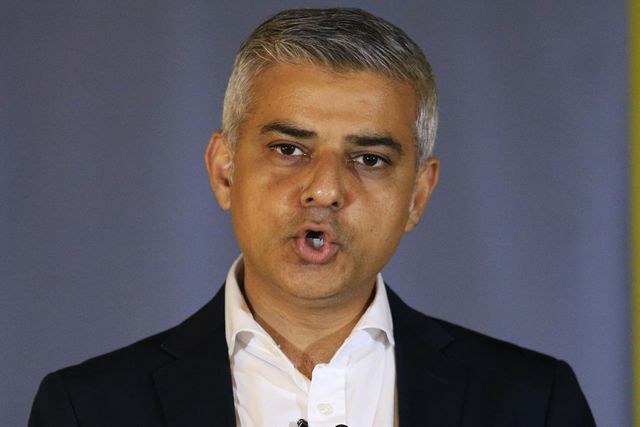 London’s mayor said he would impose new rules aimed at limiting the sale of homes to foreign investors who then leave the properties empty. He insisted he would "absolutely" bring in a regime where dwellings would have to be marketed in the capital for the first six months in order to receive permission to be built. Sadiq vows to crack down on London property sales to foreign buyers https://t.co/6SnRPQFhuy So will he arrange lending for the developers?